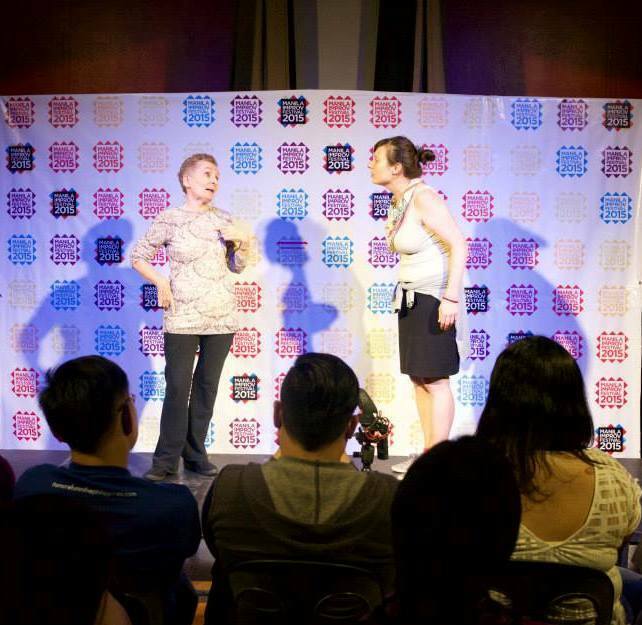 I’m Kay Ross, a Hong Kong-based improv performer, Applied Improvisation trainer, and obsessive compiler and sharer of useful resources that I find online. This is Part 4 in my blog series “All About Improv, Applied Improv, Creativity, Play, Innovation…”, in which I’ve selected and compiled a list of all sorts of goodies for you (articles, podcasts, videos, books…). See the previous parts in the series here: Part 1 (published April 26, 2013), Part 2 (published April 26, 2015) and Part 3 (published April 26, 2016). Since publishing Part 3 a year ago, I’ve found lots more resources, and I’ve picked what I think are the most relevant, useful, interesting and thought-provoking ones. I don’t necessarily agree with all the opinions expressed in them – I’m simply sharing them to inspire conversation and learning. So here’s my gift to you: my fourth list of resources. It’s a PDF, 37 pages long, and absolutely free! After you click on the link above, you’ll need to download the document so that you can click on the links within it. I’d appreciate your comments. Is my list useful to you? Do you have any questions? And would you like to suggest any other resources that I can list in Part 5 in the series? Please post a comment, send me an email or tweet me nice at @kayross. And please feel free to share this blog post with anyone you know who might be interested.